With the ongoing relaxation of planning laws, it has never been more attractive – or profitable – to convert unused office or retail space into residential apartments. This was music to our ears back in 2013, and it still sounds sweet today. We quickly got involved in many of the development projects that began to spring up and, six years on, we’re still passionate about commercial to residential conversions. But we’re also a little wiser. While the relaxation of planning requirements helped smooth the way and greenlight projects, such conversions are still far from straightforward. We’d like to share some of our experience about the challenges, elephant traps and niceties involved in converting offices or shops into flats. These conversions promise a great deal – but there are some challenges along the way. And it’s critical that you meet the various regulations and take note of the practical details so that you can generate a quality return from your investment. So, here are those three main technical details that you simply cannot overlook when engaging in a conversion. Failure to address these three areas correctly could well see your development not being signed off by building control. Sound proofing in commercial to residential conversions is governed by Part E of the Building Regulations. This lays out the acceptable noise levels for both airborne sound and impact sound between the dividing walls and floors of a building. It is important, then, your designs and spec for your conversion allow for sufficiently robust and soundproofed walls and floors between each apartment. The minimum level of airborne sound resistance for dividing walls or floors between homes is 43dB (decibels), but a maximum of 64dB of impact sound is set for conversion projects. These levels are designed so that tenants aren’t disturbed by the conversations or activities of their neighbours. One thing that we have learnt is that it is important to take into account all possible passages of sound when you design the layout of your property. Sound will find its way through the most unexpected gaps or holes that your new structure offers. This is why we highly recommend that a specialist consultant is employed to help you design a property to ensure it passes the regulatory sound tests. We work closely with a number of sound consultants and sound testing firms to ensure that any project we are involved in will successfully pass the required tests. Part B of the Building Regulations covers fire proofing. The complex requirements here cover everything from communal smoke vents to the specification required for internal doors. The specific requirements vary according to factors such as the number of storeys, number of dwellings and the location of escape routes in a property. This can make Part B appear like something of a minefield. Thanks to the number of developments that we’ve been involved in we’re perfectly at home handling the varying requirements and working to put in place fire strategies that satisfy building control requirements. If you need help finding competent architects or consultants to help you with your fire strategy, please get in touch. When it comes to fire proofing, there really are no substitutes or alternative routes. It is critical that you use whatever construction methods or materials are required – whether it be specialist intumescent products such as plasterboards or fitted systems such as communal fire alarm and sprinkler systems. One of the most difficult technical aspects involved in converting a large office space into multiple apartments, is determining the exact routes of the electrical and mechanical services to each unit. To start with, it is highly likely that you will need to install new incoming electrical, water and, possibly, gas supplies. It’s surprising just how much space these take up, so it’s something that should be considered at the initial design stage. Whilst it is possible to locate meters within each individual flat, the tidiest way to locate them is to set aside a communal plant room where all incoming supplies and meters are. This makes it easier to run the supplies to each flat. For buildings with multiple levels, service riser cupboards can be used, where space permits, to run pipes and cables between levels easily. It’s not just taking supplies into the building, however. You also must plan for taking things, such as soil and waste, out of the building. Soil and waste pipework take up a lot of room and it is governed by very strict regulations regarding its layout. You will need to ensure that each apartment has been carefully designed to correspond to the available access points for this pipework. Often to incorporate such pipework discrete boxings may need to be used or the floors in communal areas may need to be raised. Finally, it’s also important that sufficient space above ceilings is left for ducting in your designs and that your steel beams don’t need to be positioned so that they effectively cut off essential supply routes. 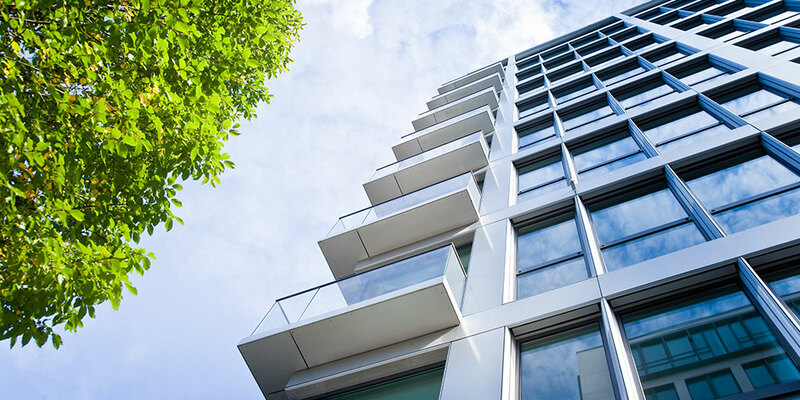 Commercial to residential conversions: how can we help? Have a browse at some of the conversion projects we’ve worked on. If you are considering taking on a conversion project, why not give us a call for some friendly advice? We can help you maximise your returns and avoid common problems: we’ve been doing exactly this for years. call us today on 01483 756575 for advice and help from the very start.